Cellular provider gives back, not just for attention. Many companies talk about mental health, but did you know Telus puts its money where its global telecommunications leader of a mouth is? Last year, Telus—home of Canada’s most reliable 4G mobile network—donated (in part) $450,000 of funding to mental health initiative The Sandbox Project. Canada’s fastest-growing national telecommunications company, Telus looks after its nearly 30,000 employees through company “wellness” teams and supportive managers. Telus has $11.8 billion of annual revenue and 13.5 million customer connections, including 8.0 million wireless subscribers, 3.2 million wireline network access lines, 1.45 million Internet subscribers and 888,000 TELUS TV customers. Often invisible, mental illness is one of the most pervasive health issues in the country with far-reaching consequences for Canadians. One in five people will experience a form of mental illness at some point in their lives, and most will be reluctant to talk to a co-worker, friend or family member about their struggle. Eliminating the stigma around mental illness, is an important step we can all take regardless of who’s funding it. Other companies are also raising awareness. 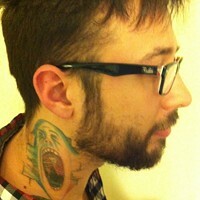 Will Jeremy Wheeler's Pink Floyd-inspired body ink frighten elderly people?